Today was fantastic, absolutely fantastic. And, you know what? So was I. Although I had to wake up pretty early this morning, I hopped out of bed and immediately started getting ready with a smile on my face. I met a group of girls downstairs. In spite of the early hour, we were eager for our departure. Once we made sure that everyone was present, we left Astor College and walked toward Goodge Street. My stomach was empty, but my heart was light as we made our way toward the Tube station. Unfortunately, the gates were closed. My heart dropped into my stomach. The girls and I exchanged nervous glances. What were we supposed to do? Luckily, there was an attendant standing just inside the gates. We asked him when the gates were going to open. “When do they open?” he asked. “Hm, let me think…they open right now! It’s your lucky day, ladies!” And he opened the gates. We all broke out in smiles of relief. It’s nice to encounter someone who has a sense of humor. We rode the Tube to the train station, purchased our tickets, and boarded the train. As soon as we started moving, everything slowed down. The train chugged along at a leisurely pace. Everyone was quiet—except for our group. I tried to get some work done, but I had a hard time concentrating. Two and a half hours later, we finally arrived. 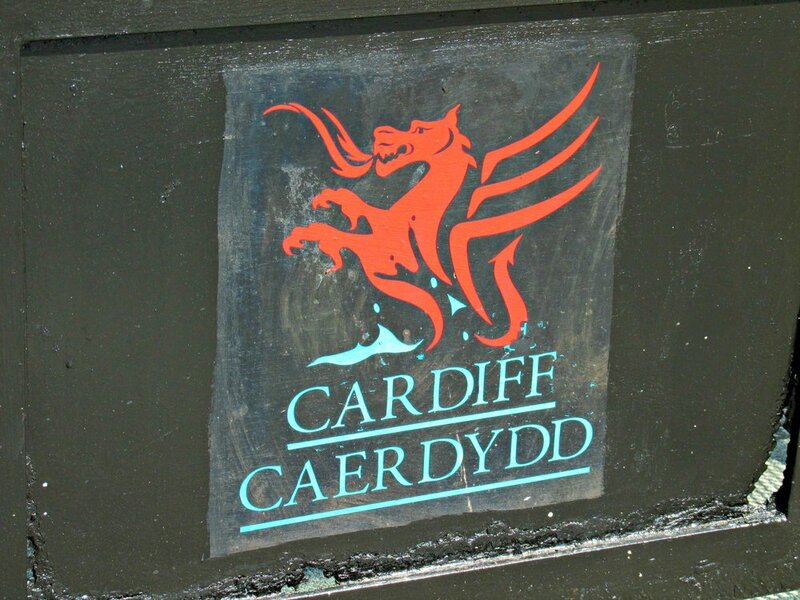 Cardiff is not a big capital city. I had never considered going there before getting into Doctor Who. 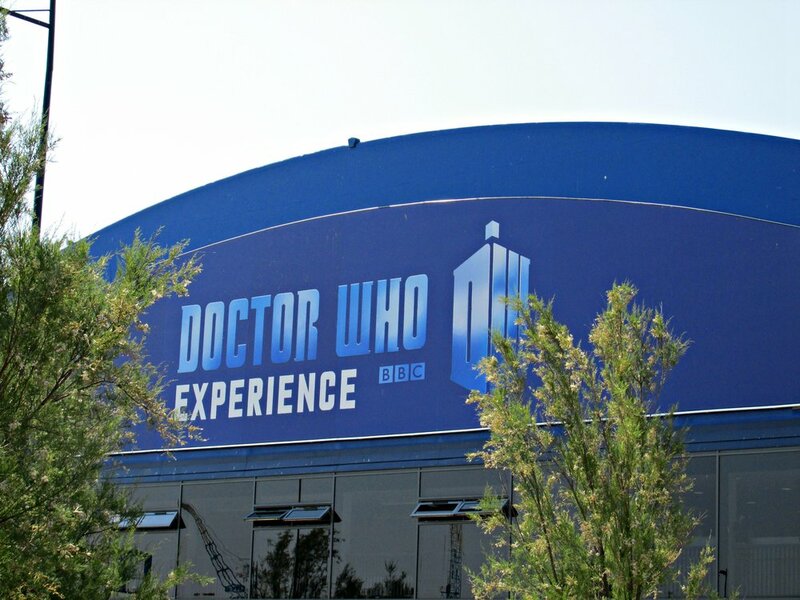 Not surprisingly, the Doctor Who Experience is about the only interesting thing in Cardiff. We passed a few restaurants while walking toward the bay, but that was about it. We did go through a neighborhood. We got a bit lost. At one point, our group was standing on a street corner, looking around madly, when a woman on a bike pulled up. “Are you girls lost?” she asked. She smiled and gave us amazing directions, and we made it to Cardiff Bay and the Experience in no time. The building didn’t look too exciting on the outside. It looked like a giant worm made out of concrete. Inside, however, the magic began. 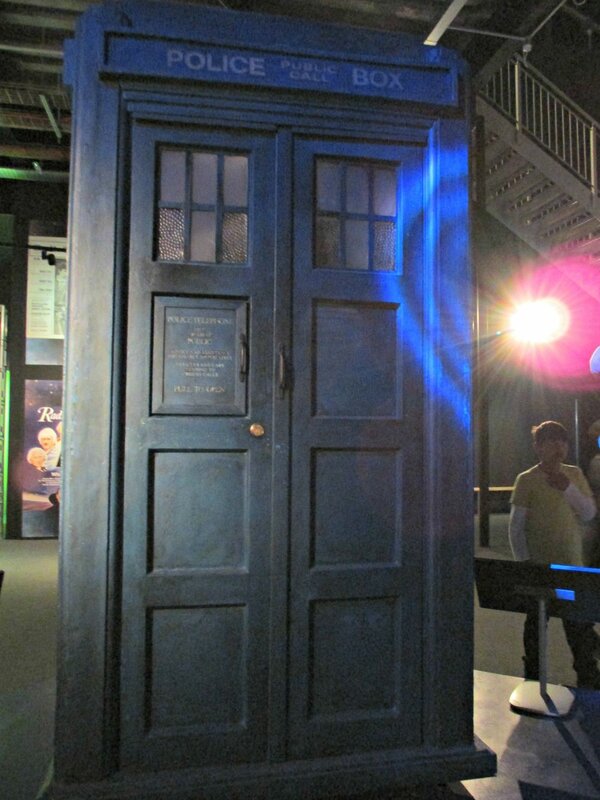 I’m not sure how to describe the Doctor Who Experience. If I broke it all down, this post would be never-ending. What I will tell you, though, is that it was worth the train ride. It was even worth the train ride back, which was even longer and hotter because there wasn’t air conditioning. All in all, I’m having the time of my life over here. Each and every day has something new and exciting. I am so blessed to have been given this opportunity. Thanks to everyone for supporting me and helping me get here. I love everyone, especially the people who are reading this post. You have no idea how much your thoughts and prayers are helping.